Minister of Trade and Industry, Endrit Shala received an order in the course of implementing policies that empower the Republic of Kosovo. 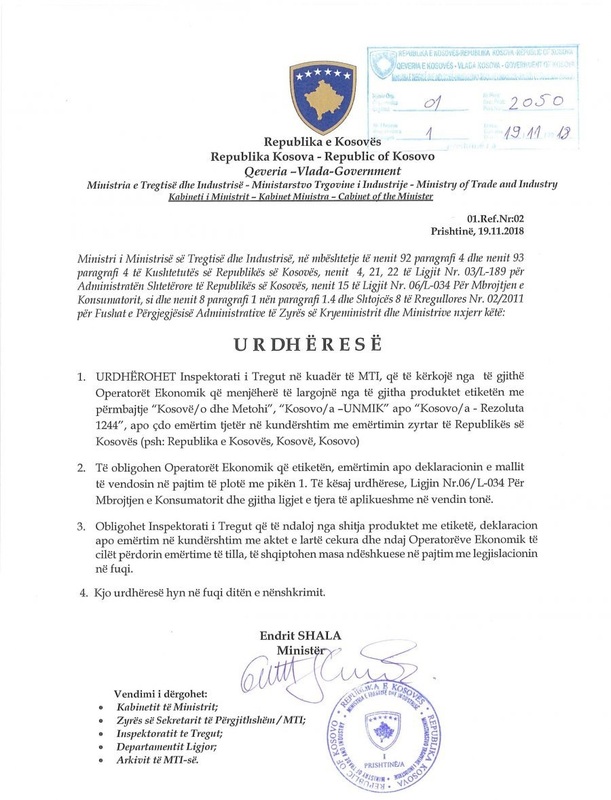 After the citizens' reports and also after inspections and verification of the situation by the Market Inspectorate that have encountered some goods that are imported into Kosovo with the inscription "Kosovo / o and Metohija", "Kosovo / o UNMIK" or "Kosovo / a Resolute 1244 ", Minister Shala has issued an order prohibiting the sale of these products and their entry into Kosovo. Following the confirmation of this situation, Minister of Trade and Industry Endrit Shala issued an order to the Market Inspectorate asking them to ask economic operators to immediately remove products labeled "Kosovo / o and Metohija "," Kosovo / o UNMIK "or" Kosovo / a Result 1244 ", or any other designation contrary to the official designation of the Republic of Kosovo. 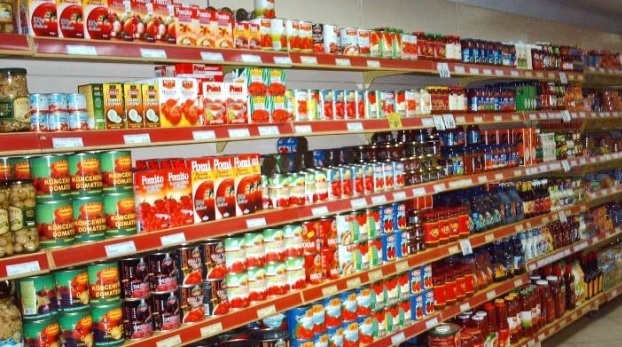 Minister Shala also requested from Kosovo Customs not to allow the entry into Kosovo of products containing labels with such labels.